Library and Archives Canada is pleased to announce the release of a new version of the online database Canadian Directories. An addition to the page includes full versions of the directories in PDF format, as well as newly digitized directories which are not available through the database. 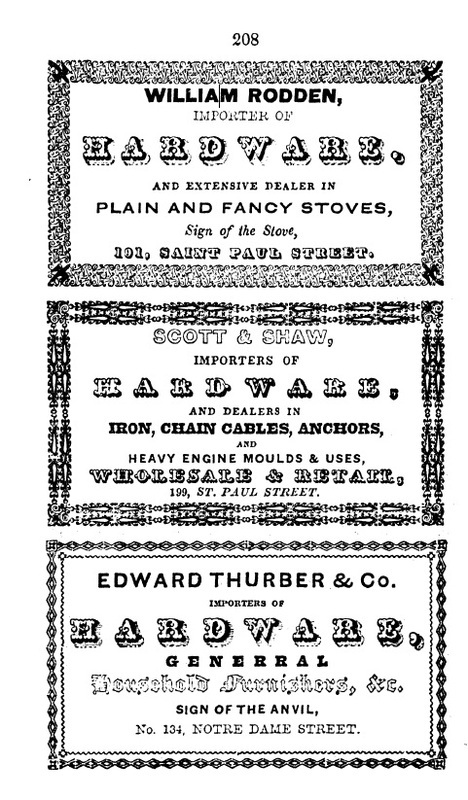 Business card-style advertisement from The Montreal Directory for 1842–3, page 213. These 152 new directories are for the Ontario cities of Hamilton, Kingston and London and for the counties of Southwestern Ontario. This entry was posted in Our Collection and Facilities and tagged City Directories, directories, Genealogy and Family History, online database by Library and Archives Canada Blog. Bookmark the permalink.